So I have been waiting for this for so long, yay I am so excited! 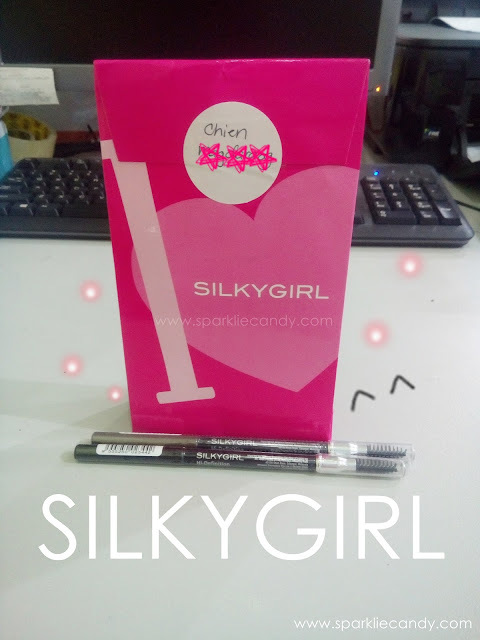 I am a not-so-makeup-junkie girl in terms of eye brow but look, Silkygirl gave me this pretty pink package. 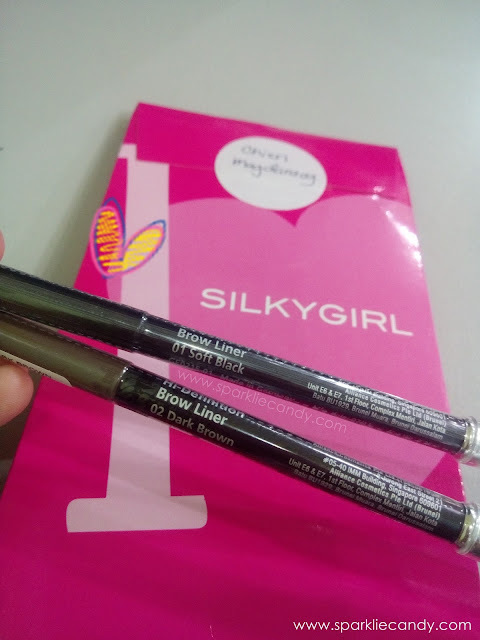 SILKYGIRL offers a complete range of high quality color cosmetics that will meet the needs of discerning consumers in both the urban and suburban markets. SILKYGIRL is now marketed at over 5,000 cosmetics counters in Malaysia, Singapore, Brunei , Indonesia and Jakarta. In Malaysia, SILKYGIRL is available at all major pharmacies, personal care stores, departmental stores and hypermarkets. Following the success of SILKYGIRL color cosmetics, the Alliance Group launched its fragrance line in July 2006. Can somebody ask Japan to make the Season 2 for Skip Beat please? This anime is so good yet it was left on a cliffhanger. Well story is still on the run in the manga but I am not a manga reader type of person so this saddens me T^T.